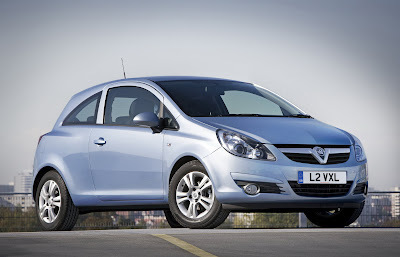 LUTON : October 30, 2009 – The most economical Vauxhall model ever will be available to order from January 2010 when the new Corsa ecoFLEX hits the UK market, boasting CO2 emissions of just 98g/km and a miserly combined fuel consumption of 76.3mpg. 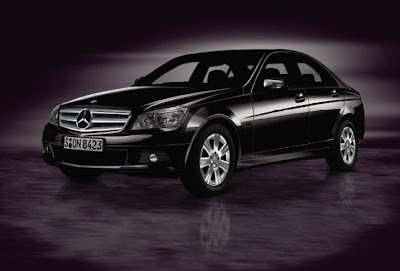 MILTON KEYNES, UK : October 30, 2009 - The Mercedes-Benz C-Class Executive SE special edition brings added value for the customer with an exterior styling pack and interior upgrades. Available from November 2009 and powered by the manual C180 KOMPRESSOR BlueEFFICIENCY engine, it is offered in both the Saloon and Estate bodystyle. The special edition follows on from the success of the E-Class Executive SE and is based on the SE model line. The C-Class Executive SE will feature the Sport Grille with the integrated Mercedes-Benz star, usually exclusive to the Sport model. New look 16” ‘Pristix’ alloy wheels will also be a distinguishing feature and the boot lid and exhaust will boast chrome trim finishes. On the inside the Executive SE really comes into its own with COMAND fitted as standard. The multimedia system includes hard disk drive navigation, Linguatronic voice control, a 6 GB music register and a PCMCIA slot. All of which can be fully controlled through the Executive SE’s upgraded multi-function steering wheel. At £23,190.64 (Estate, £24,390.11) OTR the Executive SE is just £574.47(ex VAT) more than the SE, yet offers the customer over £2,200 in added value. Powered by the C 180 KOMPRESSOR BlueEFFICIENCY 156 hp engine, the Executive SE returns 44.8 mpg on the combined cycle, making it a real contender for both the fleet and private customer. CO2 emissions of just 154 g/km place the Executive SE saloon in the 18 per cent tax band, making tax payable just £68.96 a month for the saloon for those paying 20 per cent tax and £137.91 for those paying 40 per cent tax. As with every manual C-Class the Executive SE features Hill Start Assist, removing the need to operate the parking brake whilst moving away from a standstill. The system holds the car for a second enabling the driver to move from the brake onto the accelerator for a smooth pull away. EuroNCAP awarded the C-Class a full five stars when it launched in 2007 and as you would expect the Mercedes-Benz C-Class has an impressive line-up of standard safety features. 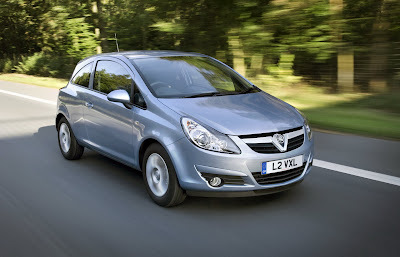 Pre-Safe® the intelligent, anticipatory safety system will trigger the seat belt pre-tensioners, close the side windows (and electric sunroof if fitted) and move the front passenger seat into the safest position (if the Memory package is fitted) if an accident is imminent. The C-Class is also fitted with Adaptive brake lights. If the driver applies the brakes suddenly and forcefully the brake lights will start to flash to alert drivers behind them. Like every Mercedes-Benz the C-Class Executive SE comes with a three-year unlimited mileage warranty and is covered by Mercedes-Benz Roadside Assistance, a unique package comprising up to 30 years pan-European breakdown assistance so long as the vehicle continues to be serviced by Mercedes-Benz Official Workshops. CHERRY HILL, N.J. : October 30, 2009 - Subaru of America, Inc. today announced two tuner models along with a "blast from the past" Subaru classic that will debut at the 2009 Specialty Equipment Manufacturers Association (SEMA) Show at the Las Vegas Convention Center Nov. 3-6. Further models will be announced in due course. 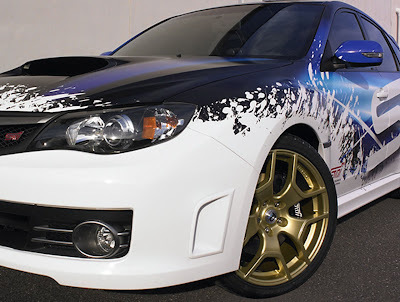 Subaru Performance Tuning (SPT®), Subaru of America's in house performance division, built a custom Impreza WRX® STI® and Legacy® VIP concept especially for the 2009 SEMA Show. The WRX STI by SPT demonstrates what a WRX STI owner can build at home using just the SPT catalog as a source for bolt-on parts. The WRX STI by SPT offers more power along with even sharper handling response, making it the ideal machine for high style street performance or track driving. The Legacy VIP is a one-of-a-kind vehicle inspired by the VIP rides found on the streets of Tokyo, Los Angeles and New York. It uniquely blends parts from SPT and the Japanese domestic market (JDM) with custom features for the "full VIP treatment." VIP is a style known for a clean, yet heavily reworked, luxury theme with an emphasis on impossibly low ride height and huge, aggressively styled wheels. Those connected to this scene don't say "V-I-P" but rather call it "bippu" in a nod to its Japanese roots. "Traditional" VIP rides are based on rear-wheel drive vehicles; the Subaru Legacy VIP breaks the mold by applying the look to an all-wheel drive sedan with an extra dose of East Coast flair. The third vehicle announced for Subaru's SEMA display is also one-of-a-kind: A special SPT delivery van that promises to deliver go-fast parts very slowly. That's because it only has 25 horsepower. The 1969 micro van (emphasis on "micro") was one of the first models sold by Subaru of America. Its two-cylinder, two-stroke engine musters 25.3 lb.-ft. of torque. Less than 10 feet long and barely more than four feet wide, the Subaru micro van could be used to deliver SPT parts inside Subaru's headquarters campus. Nearly as impressive as its 66-MPG economy is the patience needed to drive it for 66 miles. The drivetrain in the WRX STI by SPT is essentially stock, which means a 2.5 liter DOHC, 16 valve, turbocharged and intercooled 4-cylinder Subaru Boxer® engine with Dual Active Valve Control System. 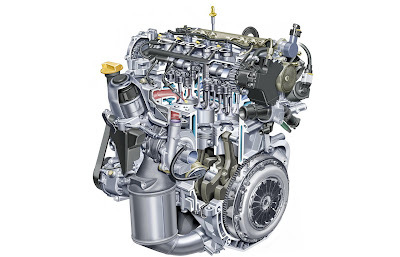 Backed by a 6-speed close ratio manual transmission, it gets power to the road via Symmetrical All-Wheel Drive with Driver Controlled Center Differential (DCCD), limited slip helical front differential and TORSEN® rear differential. The engine remains stock, including 14.7 PSI max. boost. An SPT exhaust system boosts horsepower to 315 hp @ 6,000 RPM (up from the stock 305), while peak torque remains stock at 290 lb.-ft. @ 4,000 RPM. There is also an SPT turbo heat shield. For that extra dose of style under the hood, the car features an SPT billet oil cap v2.0 and SPT billet battery hold down v2.0; an STI front lip spoiler and SPT exhaust finishers complete the look. The stock WRX STI is already a master of the curves; the WRX STI by SPT ups the handling ante with readily available accessories: 19 x 8.5-in. Prodrive® GT2 wheels are finished in Glitter Gold and wear Michelin Pilot Sport A/S 245/35R19 performance tires. Suspension is tweaked with STI performance springs, an SPT strut tower brace and an SPT lower chassis brace. The 2010 Legacy is all-new, built on a new platform that increases room and comfort while preserving the agility and fun-to-drive spirit of the previous model. Its new midsize roominess and comfort make Legacy an ideal candidate for the VIP ("bippu") treatment. This transformation, however, is not for the faint of heart. The 2010 Legacy 2.5GT starts out strong enough; its new 265-hp turbocharged/intercooled is teamed exclusively to a new 6-speed manual transmission for 2010 along with the Continuous Symmetrical All-Wheel Drive (viscous coupling locking center differential). So, the Legacy can go on when the snowflakes fall. The stock torque curve (258 lb.-ft. at 2,000-5,200 RPM) makes city VIP-ing smooth and easy in this Legacy. The turbo Boxer is dressed up with a custom full engine bay cover, SPT billet oil cap v2.0 and SPT billet battery hold-down v2.0. To go "bippu" is to go low, starting with the profile. The stock Subaru intercooler, which inhales through a hood scoop, is replaced by a Mishimoto front mount intercooler with custom piping, to allow a smooth hood. To ride low, the Legacy VIP gets air suspension system from Universal Air®. The MC3 Enterprises Trinidad wheels were custom machine for this vehicle and measure 20 x 10-inch in front (30 offset) with a 3-inch lip; the 20 x 10-inch rear wheels have a 12 offset and 4-inch lip. The 235/30R20 Falken FK452 tires are "stretched a bit." Subaru sourced a number of body parts from the Japanese domestic market (JDM) Legacy, including: hood, bumper faces, sport grille, front and rear under spoilers, HID headlights and fog lights. The power folding signal mirrors with chrome caps and the vent shades likewise come from the JDM Legacy parts supply. Roof and decklid lip spoilers were added to keep the lines of the car clean. Custom touches start with the rolled and flared fenders and add a chrome trunk garnish and door handles, along with puddle lights. The body is sprayed in Shinjuku Black Plum. The Legacy VIP interior is almost fully custom, featuring diamond stitch seats and door trim finished in Togarashi Red. An interior illumination kit and illuminated sill plates add a VIP glow. SPT catalog parts include an auto-dimming mirror with transflective display and HomeLink transmitter and an STI Duracon shift knob. The rear seat passengers enjoy the full VIP treatment, starting with bucket seats and a motorized compartment for valuables. Onboard entertainment is offered through a JVC KD-AVX77 touch screen head unit up front and twin rear seat multifunction displays in the rear. A custom carputer integrates the added subsystems. A pair of JBL amps (GT5-A604 4-channel and GT5-A3001 sub amp) powers six JBL speakers and two JBL 10-inch subs. The Subaru SPT Parts Delivery Van is a fully restored 1969 Subaru 360 van and features prominent SPT livery. The restoration was undertaken by Subaru of Las Vegas and will be displayed in their showrooms after the show. Curb weight: approx. 950 lbs. Article navigation: Home / Peugeot / BB1 begins a European tour, supporting its network's move to a "sustainable economy"
BB1 begins a European tour, supporting its network's move to a "sustainable economy"
PARIS : October 30, 2009 - After Peugeot BB1 presentation at the Frankfurt Motor Show, BB1 was seen in the streets of Paris. This weekend, BB1 begins a European tour which starts at the Sony Center in Berlin. Next, the English will welcome BB1 to Covent Garden on 7th and 8th November. BB1 will then go to Spain for 21st and 22nd November, then to Italy, where it will be on show in Milan on 28th and 29th November. BB1 will finish its European tour in Paris on the weekend of 12th December 2009. In the five countries it visits, BB1 will be exhibited in places that draw large crowds. In this way, Peugeot is showing the general public its solution to the new automobile deal of the future: a 100% electric project capable of carrying 4 people in 2.5 metres. All dates and details are available on the bb1-peugeot.com site as well as on BB1's different social networks which have already attracted over 15,000 fans across Europe. 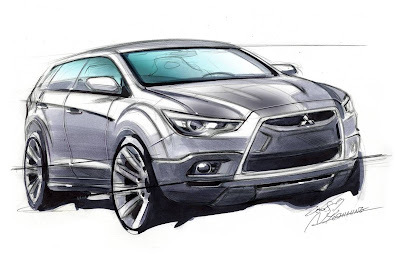 Mitsubishi Motors Corporation (MMC) announces today the forthcoming introduction of its all-new on-road Compact Crossover, to be retailed first in Japan from February 2010 onwards. Derived from the much-acclaimed 2007 Concept-cX show car, it is the latest development of MMC's mid-size global platform (“Project Global”). This most important product will further support Mitsubishi Motors’ strategic shift from being an SUV-focused nameplate to a manufacturer of environment-friendly passenger cars & crossovers*, with a presence in the “authentic off-roader” segment** – itself pre-empting structural changes in market demand. 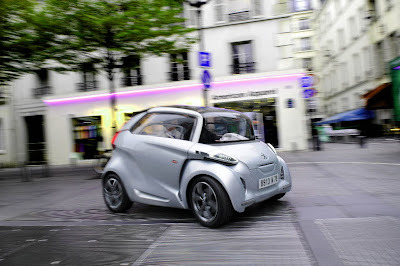 The European premiere is scheduled for the 2010 Geneva Motor Show.